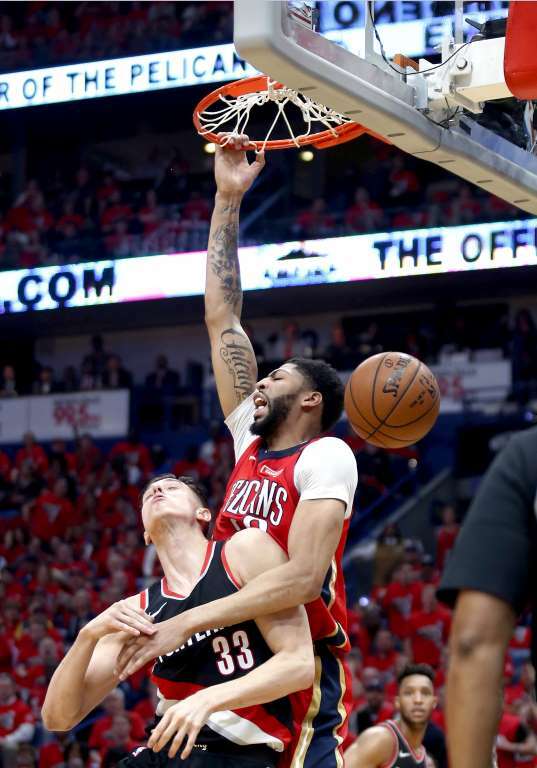 Pelicans forward, Anthony Davis, top, slam-dunks over Trail Blazers center, Zach Collins (33), on Saturday in New Orleans. The Pelicans won 131-123. Photos - U.S. Daily News: Slam-dunked!